My name is Karen. 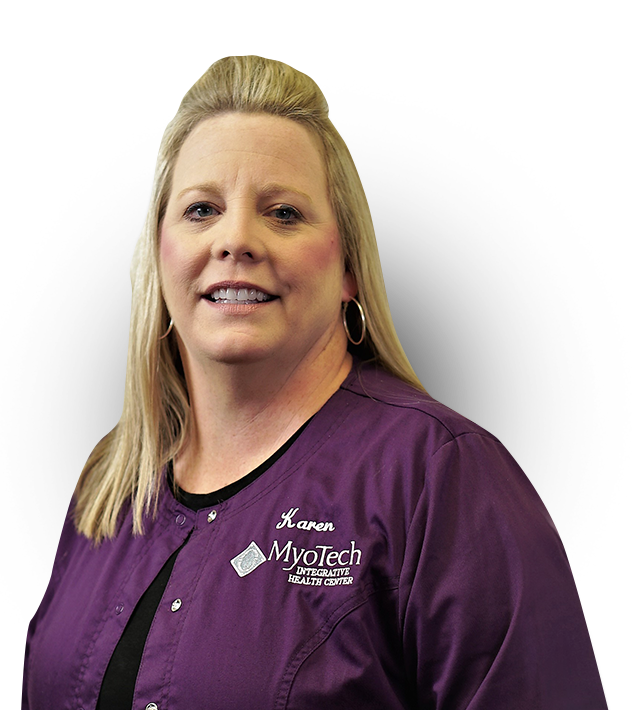 I began my dental hygiene career in 1992 and have been working at MyoTech since 2001. Something I pride myself on the most is my beautiful family. My husband Wayne and I have two amazing children–Kaitlyn and Jacob. They are both in college now, so my husband and I are learning to adjust to life as empty nesters. One of my biggest passions in life is helping people feel their best. Not only am I passionate about my patients’ oral health and dental hygiene, but also about getting to the root causes of health issues through gut health and holistic medicine. Because of this, I am so proud to work for MyoTech Integrative Health Center. In my free time, I enjoy camping, boating, getting pedicures with my daughter & spending quality time with my family.